Though I only occasionally read novels in the romance genre, I often enjoy novels that include romance. 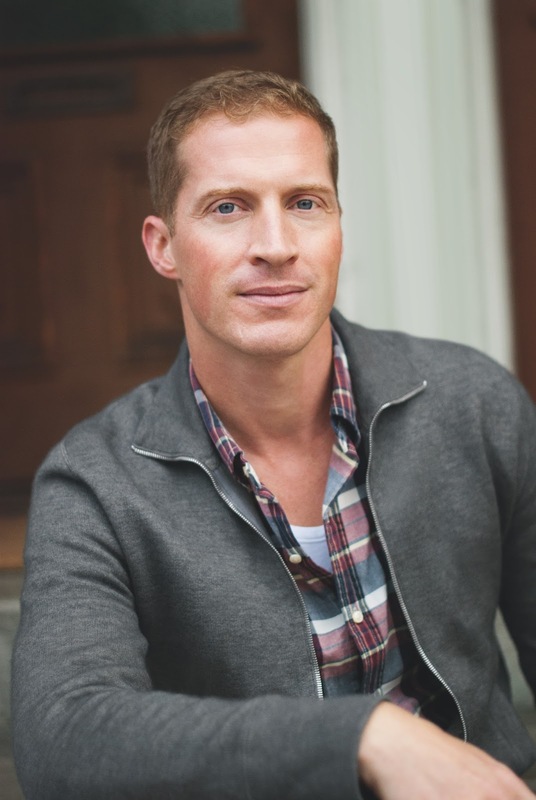 Andrew Sean Greer is the author of four novels that explore themes of love and time. I briefly met Andrew when he visited the Denver Woman's Press Club to talk about The Impossible Lives of Greta Wells, released in paperback last year. He impressed me with the unapologetic way he embraces sentimentality, so I read the novel, which I found luminous on the subject of love. For Greer, sentiment is not saccharine, but a nourishing sweetness. It so happens that Greer is gay, but his novels highlight many types of relationships: from heterosexual to homosexual, from family to friendship. Whatever bonds he explores, Greer admits he’s a sucker for love. Cara: Andrew, although you don’t write in the romance genre, your novels are often characterized as romantic. What role do you think romance can or should play in any good story? Andrew: I suppose it depends on the writer. True Grit is a fantastic novel, and there’s no love in it at all! It’s just that for me, as a writer, I can’t seem to get into a story unless it touches on love. It’s just something that interests me—when it misses, when it hits, how it hits, how it fades, how it ends, how it survives. All that. I’m happy to read a western or a sci-fi novel. 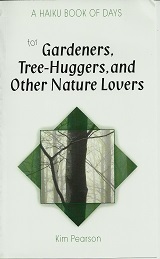 But I am unlikely to write one unless it also has a love story in it somewhere. We all have our kinks. Cara: I heard you give a talk at the Denver Woman’s Press Club, in which you rejected the way the word sentimental is used as a pejorative in the literary world. I felt a wonderful challenge in your question, and I paraphrase, “What’s wrong with being sentimental?” According to Merriam Webster, sentimental can mean, among other possibilities: marked or governed by feeling, sensibility or emotional idealism. What do you think a writer can gain by writing from such a place? Andrew: Well, I can tell you what they risk by not writing from it: missing the mark entirely. The entire purpose of fiction, of art, is connection. An author connecting with a reader. If you try to man up and shy away from emotion—well, I think you are shying away from the purpose. I would call that cowardice. But so often it’s characterized as the reverse. I think so many writers—myself included—rely on clever, clever, clever. Because getting emotion exactly right is incredibly hard. And holds one up to ridicule. It’s much safer to back away. But then—why even write at all? Cara: In our society, it seems a common notion that men and women have different ideas about what is romantic. Certainly more women than men read and write in the romance genre. However, many excellent authors of both sexes, and all genres, write with passion and intensity about romantic love. Do you believe male and female authors approach the subject of romance differently, or not? If so, in what ways? If not, why do you think the notion persists? Andrew: I think this is the kind of notion that is often proved by holding out the extremes: JRR Tolkien and Barbara Cartland or something. But all the writers that I read seem to have the same passion, as you say. Proust’s entire subject was love. For four thousand pages. Lillian Hellman looks upon it with a jaundiced eye. Even Raymond Chandler, who seems as hard-boiled as it gets, reveals the true story at the heart of The Big Sleep in the last line: “I never saw Silver Hair again.” The note of romantic regret and longing. I think it’s spread pretty evenly. Cara: Following up on that idea, do you believe that homosexual and heterosexual authors approach the subject of romance differently? If so, in what ways do you think they might differ? If not, in what ways do you believe the romantic experience of authors and readers of all sexual orientations might be similar? Andrew: I think it does seem a lot of gay writers have felt more free to write passionately—often about heterosexual relationships. Oddly, I find women write the best about gay relationships. It seems to go this way, that as a slight outsider one often has a better view. But, again, it just doesn’t bear out very far as an interesting way to look at writers. Knowing Bruce Chatwin was gay doesn’t really add much. Knowing John Irving is straight is equally pointless. I think it’s more interesting to gather writers by their affinities and not by their identities. So much of our emotional lives go into our writing! Anyway, it’s how we think of ourselves. We identify not with political groups but with similar writers. We’re odd that way. Cara: In your lovely novel, The Impossible Lives of Greta Wells, the title character travels through time to alternate realities in which she finds out how her relationships might have played out in other eras. Different romantic possibilities unfold for both Greta and her gay twin brother. But ultimately, I found it to be a story about the simultaneously ephemeral and eternal nature of all love relationships: familial, romantic, adulterous, friendly, even neighborly. Do you believe the most engaging love stories transcend romance? How so? Andrew: It is essentially romantic to think that we might be in love with the same person in any other world. I admit that is impossible—simply necessary for the novel, in which too many characters would have capsized the boat! So given that I planned to triple each relationship, the question was really how our relationships do depend on so much. We talk about timing. Being in the right place to be with someone. I think the most engaging love stories have a bittersweetness. Not a total triumph, but a loss as well. We all know the story has to go on past the last page—and that passions cool. A shadow of that understanding, if it falls across the page, perhaps can make a sweet moment all the better. Cara: I’m aware that you're an identical twin who is close with your twin brother. Do you believe that the intimacy of that fraternal relationship informs the way you look at relationships in general? If so, how does that impact the way you write about relationships in your stories? Andrew: Gosh! He is as much a romantic as I am. We’ve both theorized that we are so used to having someone else with us, and so unused to being alone—we take it for granted that we need a relationship! But of course thousands of twins do not. It’s the sort of back-formed theory one comes up with when the truth is: we’re simply made from the same stuff. Softies, through and through. Andrew Sean Greer is the author of four novels, including national bestseller The Confessions of Max Tivoli, in which the title character is born in the body of a seventy-year-old who becomes ever younger (no relationship to F. Scott Fitzgerald's short story, The Curious Case of Benjamin Button). 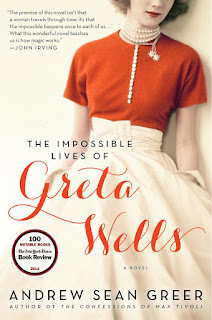 In The Impossible Lives of Greta Wells, the title character always awakens to a life in the same place, with the same loved ones, but in different years: 1918, 1941, and 1985. The author lives in the present, in San Francisco, with his husband and next door to his twin brother. 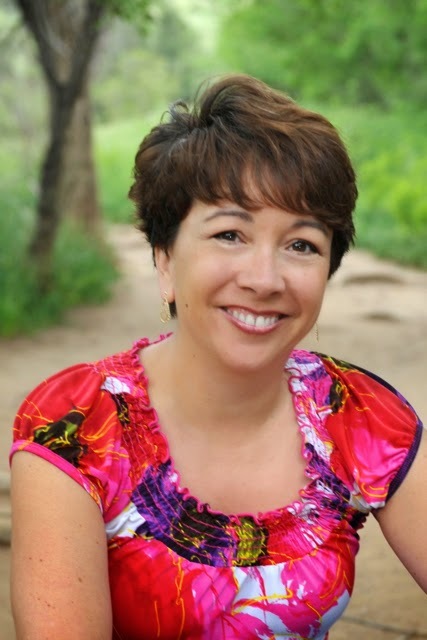 Interviewer Cara Lopez Lee is the author of the memoir They Only Eat Their Husbands. Her stories have appeared in such publications as The Los Angeles Times, Denver Post, Connotation Press, Rivet Journal, and Pangyrus. She’s a book editor and writing coach. She was a faculty member at Lighthouse Writers Workshop, a journalist in Alaska and North Carolina, and a writer for HGTV and Food Network. An avid traveler, she has explored twenty countries and most of the fifty United States. She and her husband live in Ventura, California. "I think it’s more interesting to gather writers by their affinities and not by their identities." I concur. Humans are so complex. I am not sure why we feel the need to simplify and label them. Cara, thanks for introducing us to Andrew. Andrew, I have not read your books yet. I shall remedy that immediately! I love that quote, too, Diana. Andrew has such a beautiful affinity for language. And I love the way his writing reminds me of both the eternal and ephemeral nature or all relationships, whatever form they take. Max Tivoli is next on my literary reading agenda. This is a wonderful interview, Cara! So glad I got to learn about Andrew. And the cover for your book, Andrew, is BEAUTIFUL! Thank you! I can take no credit for the cover; that belongs to Ecco. So glad you both enjoyed the interview; Cara did an excellent job. It's a pleasure interviewing someone whose love of beautiful language, human connection, and story is so evident in every word. Thank YOU, Andrew. Books and movies that touch the heart in some way, yes, those are my favorites. Almost all of them have to have some sort of love story in there somewhere to make me interested.Book covers are important, and the Greta Wells whimsical cover strikes just the right chord. I actually fought against a photograph for the hardcover--I would rather imagine the main character--but when they showed me this for the paperback, I thought it was more evocative than literal. And that orange! I'm with you Morgan, and it doesn't have to be strictly romance to be romantic or heartfelt. It sounds fascinating. I will defintely add Greta to my reading list. A very enjoyable read, Elle. I love stories that ask, "What if?" 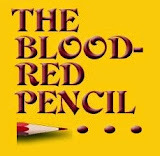 Andrew, thank you for sharing your wonderful insights with us here at the Blood-Red Pencil. You've inspired me as I push to complete my first solo novel for submission this Friday. What a wonderful interview. Thanks, Cara, for introducing us to Andrew and his work. I do agree that the word sentimental is seen as a word that equates with sappy, and it shouldn't. 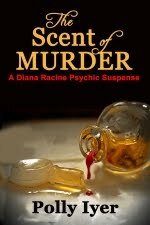 I write darkish thrillers, but there's always a romance or an almost romance. Always. I can't imagine writing a book without the romantic interaction between two people. Love the cover of Greta. Thanks for stopping by, Polly. I feel the same urge. 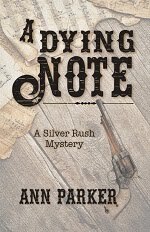 I'm writing a historical novel in which romantic love does not play a primary role, yet I snuck a couple of romantic scenes in. The lives of the characters felt incomplete without them. What eloquence! "I think so many writers—myself included—rely on clever, clever, clever. Because getting emotion exactly right is incredibly hard. And holds one up to ridicule." YES, it is soooo difficult to pull it off, but I find even when I am carried through a book on events and reactions, if I don't feel emotion at some point while reading a novel (yes, I'm a crier!) I leave disappointed that the character(s) never dropped the barrier that would allow me into their heart. 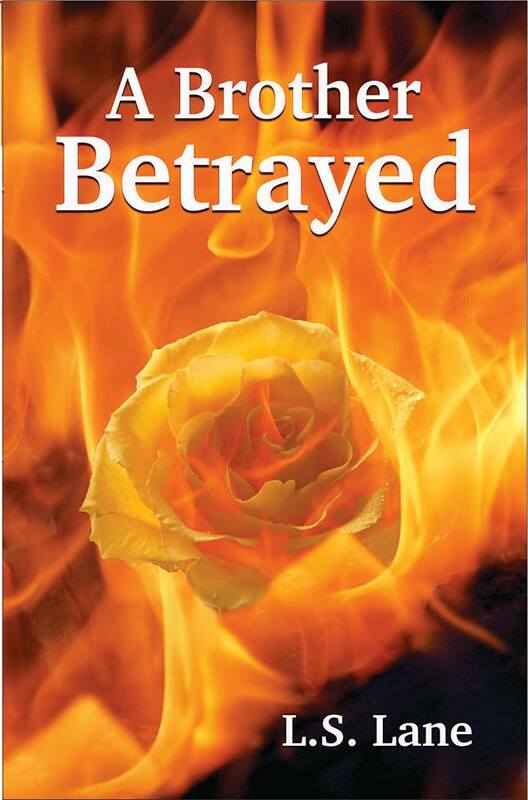 Cara--I kept fighting the addition of romance in my novel but it keeps insisting!! !